For those of you expecting my normal "On Webcomics" piece today, I'm pulling that from my rotation of daily blog updates. Not because I'm tired of it or anything, but starting later this week, I'll be kicking off a webcomics column over at FreakSugar! So, rather than double-up on content, I'm switching my Mondays here to talking about the business side of comics. 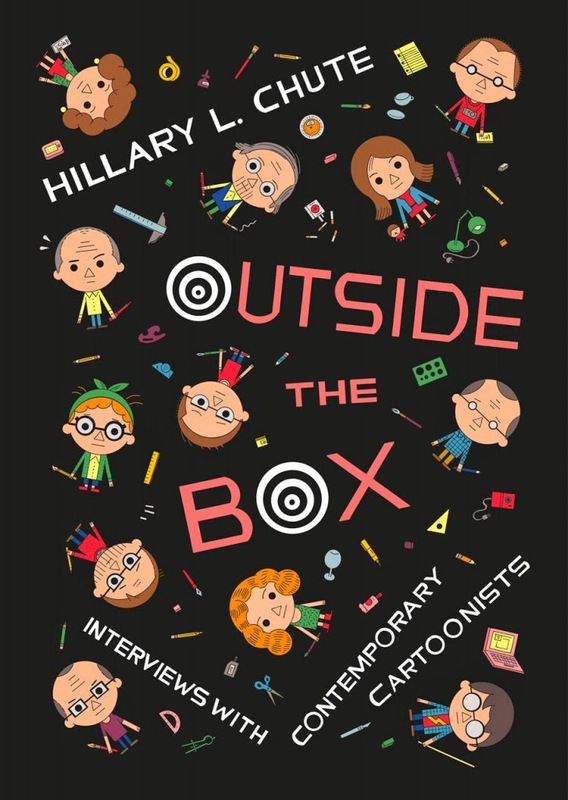 This weekend, I attended a talk at Quimby's Bookstore featuring Hillary Chute. Good event, interesting info from Chute that wasn't in the book, glad I went. Chute's focus was more on the craft of creating comics, particularly printed ones, and she's spent a lot of time interviewing creators like Chris Ware, Lynda Barry, Allison Bechdel, Andrian Tomine, etc. So she's gained a lot of insights there. But one of the more interesting, albiet short, conversations I had was not with Chute but store manager Liz Mason. I'll get to that in a bit. If you've never been to Quimby's, it's not strictly a comic book shop. They have comics, and plenty of them, but they also have a number of small press books, zines and emphemera. You can pick up a copy of the latest Captain America trade, but they cater more to the people who are looking for small press work featuring independent voices. There's a much greater selection of mini-comics than of Marvel books, for example. I've got a more full write-up of the store here. Having been to the store a couple of times, I was curious how they planned to hold an event like Chute's talk. It's not a particularly large area, and they have a lot of bookcases taking up what limited space they do have. But they were able to push aside a few of the shelves and had some folding chairs set up in front of a small projector screen at the back of the store. They only had maybe 20 chairs set up and, ultimately, that was about right for the turnout. I think there were 3-4 people who came in a bit late and had to stand in the back, so all told there were about two dozen attendees... about half what I would have expected. It seemed as if most of the people there, too, knew Chute personally. I got the impression most of them were either current or former students of hers, and she called several of them by name during the Q&A. So it was an intimate gathering, all things considered. Which leads me to my short chat with Mason. After Chute's talk, as I was buying a few things, Mason thanked me for coming out. She also noted that she was pleased with the turnout. I had heard her earlier as she was unboxing Chute's book, noting that the 22 copies they ordered were probably sufficient, so there was some reasonable planning all around, it sounded like. But that seemed to me kind of a small turnout. I expressed some surprise to Mason that there weren't more people, but she noted that it was Record Store Day as well, and that probably kept some people from attending. (Quimby's carries quite a number of music zines, so I expect there's more than a bit of overlap in their and record stores' crowds.) But I'm left wondering how exactly they might define this event as successful. If it's considered a good event to draw two dozen people out where they could pick up a new book and (potentially) have the author sign it, that's maybe around $200 in revenue. ($26 cover price, assume it's bought wholesale at 60% with a 90% sell-through.) I expect that's generous, though. I suspect (and this just a guess based on the people I was seeing in the store; a couple doesn't need two copies of the same book after all!) they sold more like a dozen. And, sure, there maybe have been one or two guys like me who bought an additional $50 worth of books on top of that, but not much more than that from the browsing I wasn't seeing happening. But even at the upper end of the financial spectrum, that's not very much money for even the minimum amount of effort needed for something like this. Of course, that's assuming short-term profits are the goal here. They're probably not. It's more like a way to establish Quimby's place in the hearts and minds of local comics folk who could choose to go to any number of area comic shops. But if, as I inferred, most of the attendees were students of Chute's, then it's not going to be a shop they come back to very frequently. Because Chute teaches at the University of Chicago, a solid hour away by public transportation. You can do that for a special event, but it seems to me unlikely that you would make that a regular trip for your comics. So if Quimby's is tyring to establish a longer-term relationship with these people, it will still be several years before that bears any fruit at all. And that's still assuming these students, upon graduating, move to an area close enough to make more regular trips to the store. But this is me thinking with my MBA hat on. They might be pursuing a strictly comics advocacy/PSA type of agenda with this. But it makes for an interest contrast against the Aw Yeah Comics event I attended about a month ago where, although they still probably didn't make a ton of money that particular day, they were actively cultivating a friendly, get-to-know-everybody atmosphere where the store becomes a destination in and of itself. Quimby's doesn't seem to be doing that. While I've never had a bad experience there, the space itself is pretty intimidating. It's not a space that conducive to making connections, nor is it set up to be a destination in and of itself. What fasincates me about Quimby's is that I can't figure out their business model. To all outward appearances, it doesn't look like it should be around very long, but it's been in business for nearly a quarter century, most of that time under the same ownership/management, and the past 15-ish years has been in the same location. So they're clearly doing something right. But it's a very different type of store than any other comic shop I've been to, and seems to be one where normal business rules don't apply.